Straight off I'm going to tell you I love this series and it was a joy to have an excuse to go back to the beginning and watch the first season again, especially now I've watched to the end of season 2 and read the graphic novel. I'll add I also think I even enjoyed it more this time too. My aim is to try and convey why I like this series so much and keep it as spoiler free as possible. 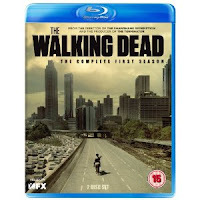 The Walking Dead started as successful graphic novel series by Robert Kirkman, Tony Moore, and Charlie Adlard back in 2004 and even if you're not a comic fan (tut tut) I'd still recommend you pick this up especially now it's available in two nice fat compendiums. 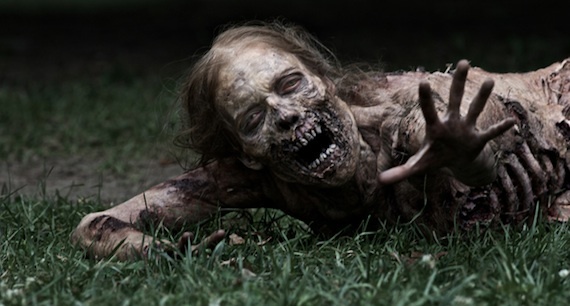 It was picked up for a short 6 part season by AMC in 2010 and it was soon evident that Frank Darabont (The Shawshank Redemption), a zombie genre fan, who wrote or co-wrote four of the season's six episodes was onto something quite special. An extra 13 episode season later, with a Writers Guild of America Award nomination, a Golden Globe Award nomination, and the record of being the most-watched basic cable drama telecast in history; with videogames, books, fan sites and merchandising and another bigger budget extra long 16 episode season in the works, and I think it's safe to say the The Walking Dead snow ball is still only gathering pace. 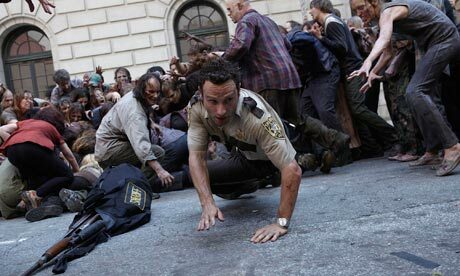 The narrative is centred on sheriff's deputy Rick Grimes (Andrew Lincoln) who wakes from a gunshot-induced coma a la 28 Days Later, Resident Evil etc, and finds himself in a devastated post apocalyptic world searching for his wife (Sarah Wayne Callies) and son Carl. Lincoln is an inspired choice and with confidence perfectly carries the role of a man striving to do his best in a hopeless situation. The world Rick journeys through at all times feels expansive and alive and you feel each character he encounters has a powerful story to tell. 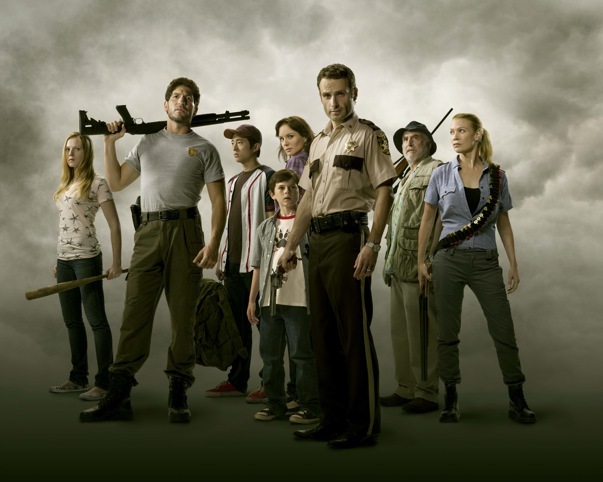 The Walking Dead could really have fallen apart without the spread and depth of these characters and the casting but fortunately for us this is not only an area in which they excelled but it's why the series is such a success. There's something about the apocalyptic condition that allows for rebirth. That thought of being able to start off again and leave any baggage of your past behind. I think this is something that resonates throughout and it's somewhat inspiring watching people re-write themselves even in such extreme conditions; alternatively it's like watching a car crash in slow motion when things are not going so well. Whilst keeping faithful to the graphic novels Darabont isn't scared to mix it up for the screen and whilst there are many things passed directly across he has not been scared to change, add and ignore bits aplomb. It works. The six episode season 1 acts as an appetiser before the main course of season 2. Think of it as a small nibble of flesh before getting your mitts on the meat and guts. It's full of suspense, tension, intelligence and sensitivity. The special effects are up there with any triple A big budget zombie film and horror fans will be sated by what's on offer. But there's also plenty to attract the non zombie aficionado with great characters and a well paced, cleverly written story. Thing is, if you're reading this you've probably already watched this and made up your own mind. A must buy 9/10.